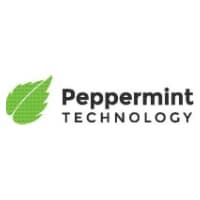 Peppermint Technology today announced it has been included in the HMRC’s list of VAT compatible software products for Making Tax Digital (MTD). MTD is a key part of the government’s plans to make it easier for individuals and businesses to get their tax right and keep on top of their affairs. From 1st April 2019 all VAT returns for businesses with a taxable turnover over the VAT threshold will have to be processed electronically via a recognised MTD integration service. Under MTD, legal businesses will need to keep records digitally and submit quarterly tax returns to the HMRC via recognised software. Peppermint’s platform will enable direct filing of tax returns through the existing platform. This functionality will be provided to all Peppermint’s customers as standard, underlining Peppermint’s commitment to supporting customers to manage compliance and lower business risk. Peppermint continuously monitor the changes in the regulatory landscape to respond and reflect necessary product updates. The MTD integration will be released later this month alongside several enhancements to Peppermint’s CX product to support compliance with the recent changes to the Solicitors Regulation Authority (SRA) handbook so that users can adapt their processes quickly and with minimal disruption. “With the VAT changes coming into effect from 1st April it’s essential that businesses ensure their accounting software is not only MTD compliant but VAT compliant, generally. The emphasis for both businesses and technology suppliers to get this right has never been so high” Says Darren Whelan, Senior Financial and Implementation Consultant at Peppermint Technology and Chair/VAT Tutor of the ILFM (the Institute of Legal Finance and Management) “This enhancement from Peppermint will provide legal firms the ability to comply simply and intuitively through their existing CX Practice Management Software”.